Prestige Guitars Ltd. is proud to announce that we have teamed up with rock legend Rex Brown; to design and release Rex’s first Signature Model Six-String Guitar. The “Rex Brown Custom” Signature Model is set to be unveiled this Friday, January 20th at Winter NAMM 2017, in Anaheim CA. Rex will join the Prestige team at our Booth – #1636, at 2:30pm on January 20th for the unveiling and will stick around for a meet and greet. Rex Brown is an American musician and author, best known as founding member of and longtime bassist for the Grammy-nominated, platinum-selling group, PANTERA (1982-2003). He is a former member of the band DOWN (2003-2011) and is currently the bassist for KILL DEVIL HILL. He is now heading up his first major solo project – The Rex Brown Band. The Rex Brown Band album is set for release in May 2017 and features Rex on Guitar, Bass and Lead Vocals. 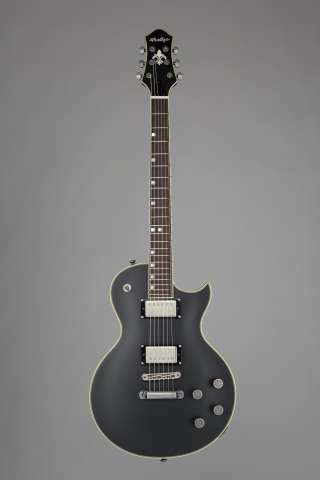 “The release of the Rex Brown Signature Model marks an important move forward in the evolution of Prestige Guitars. We consider ourselves very fortunate to have aligned with Rex and to have been entrusted to bring his dream guitar to life. Through many months of design and studio testing we have brought together all of the elements necessary to have a guitar that Rex will be able to use onstage and in the studio that will perfectly suit his new music and the tone and style he envisioned from day one. We’ve said it before, but Rex’s contributions to hard rock and metal through Pantera and KDH (Kill Devil Hill) are immeasurable. The next phase in Rex’s career will see him release his first solo album this May – The Rex Brown Band – and this new project is going to absolutely blow people away! To have him hitting the stage at major festivals, touring this new album, all with a Signature Prestige slung over his shoulder is an absolute honor.”– Adrian O’Brien, VP, Prestige Guitars.